Life feeling a bit dull and gray for you? Well, here comes Smok to add some colour into it. Okay, forgive us but we had to go there. This is, after all, a review of the Smok ProColor 225W Kit. It has colour in the name of the product! Of course, there is a reason for that as you’ll read about below. Beyond the focus on colours, we had to make sure that this Smok box mod had everything else you would want from your vape. Here’s what we found out. If you’re a fan of the Smok Alien, you might have a little deja vu when looking at this box mod. Some might say it is the spitting image of that popular mod, which wouldn’t be a terrible thing right? The Alien had a lot of appeal to its design, and so does the ProColor. It has a rather boxy shape, but in the middle is a stylish center that includes the OLED screen and the +/- buttons. They’re framed in a way that makes it seem like a badge of sorts, but the coolest part is that the outline has LED lights itself. It definitely makes it stand out, and adds plenty of flair. There’s a full fire bar along the side, as expected, and a battery door at the bottom. The elephant in the room here is that this vape mod has an incredible amount of colour options. There’s a staggering 18 different colour schemes to choose from! That’s really amazing, and it means that you are unlikely to meet someone with the exact box mod you have. We love having options, and this wide array was a huge hit. This is especially so when considering that the included TFV8 Big Baby Beast tank is colour matched – to each of the 18 designs! Impressive approach here by Smok, and it shows why they’re a top seller. With regard to build, you generally know what you are getting with a Smok and the same goes for this one. The ProColor has a great feel to it and finds that middle ground where it is weighty enough to feel high quality, but not so heavy that it weighs you down. It’s definitely on the smaller end of box mod, but probably at the top end of that. All the buttons felt nice and clicky, and the Big Baby tank felt just as nice. Great job all around in this department. Getting into the heart of the matter, we decided to put aside the visual enticements and jump into the performance aspect of this box mod. Again, this is a Smok so we expect it to do well, and we weren’t disappointed. The ProColor did a great job of ramping up power quickly, and it felt that almost as soon as we hit the fire button we were met with vapour. There likely was a small delay, but it was negligible and thus felt fairly instant. We couldn’t get it up into the 200 watt range or above, but that’s never something we’d want to get to anyway so we moved right along. In terms of vapour production, we were very much impressed with what this box mod could do in combination with the Big Baby tank. In similar vein to the Alien, we saw vast amount of vapour clouds. If you vape in a small room and at a higher wattage, you could soon find yourself engulfed with vapour. That’s a good thing as far as we’re concerned, and thankfully the flavour didn’t let us down either. Smok has really found a nice formula for these types of box mods, and here we’ve seen that success continue in the performance department. 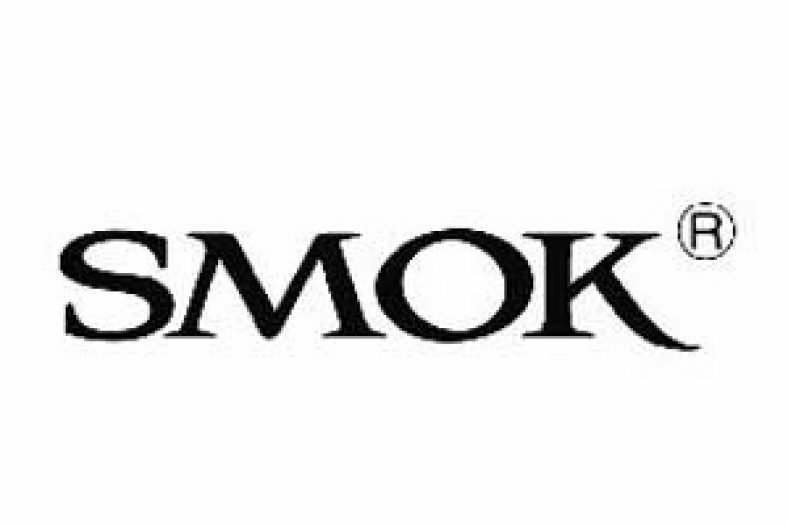 To pound the point home too much, but this is another category where we expect a well established brand like Smok to show up at the top of their game. For Smok, this means making it easy for newer and intermediate box mod vapers to use their products. We’ve noticed they have a pared down approach to their different modes, so things like Bypass mode aren’t often found. The same goes for power curve options. For the far majority of users, this isn’t a hindrance and might in fact feel like the opposite. Still, it’s something to make note of here if you’re into more advanced tinkering. As it is, you get plenty from the mode options of the ProColour 225W box mode. We start with variable wattage which works splendidly, and also has a sub-mode that lets you choose between hard, soft, and normal vape output. From there we move on to temperature control (TC), equipped to handle nickel, titanium, and stainless steel and it does it well. There’s also an option here to chance the “TCR value” of your coil. Lastly, you have a memory mode which can capture the settings you like so that you can come back to them. Wait, let’s not forget the puff counter! It’s a great little feature that helps you keep count of just how many puffs you are inhaling. It’s very handy, especially for those recently having made the switch to vapour. When you make as many box mods as Smok does, you probably have a good handle on how to make them easy to use. In this case, it isn’t presumptuous of us at all. Smok has an easy menu that isn’t overload with features that most people don’t use. That might sound like a nice way to say that it doesn’t have a lot of features, but as explained above that isn’t what we mean nor is it Smok’s approach. One of the reasons Smok is so popular is because they’ve made it very easy to use their vapes, and this one is no exception. The same goes for the included Big Baby Beast, which employs an easy top fill design. Just twist the drip tip to reveal the opening for filling it with e-liquid. We did find that the hole itself was a tad on the small size, so be careful with bottles that may be a snug fit. We didn’t encounter any spilling and it’s hard to imagine you would either, but it is still best to proceed with care. From our pool of quality vape vendors, the best price we found is £58.99 – not bad at all! This is a rather good value for a box mod that outputs at 225 watts, and especially when considering that it comes with a nice tank and a replacement coil too. Certainly makes for a good entry point if you’re looking to get a more powerful device. Once again, this veteran brand has a winner on its hands with the Smok ProColor 225W Box Mod Kit. The colour angle is one we like very much, and helps it stand out from what is otherwise a crowded field of box mods at this wattage range. Although you probably never need to have this much power with this feature set, it’s never a bad thing. We saw good to great performance at various wattage levels and were quite happy that they packaged it with a known quality tank such as the Big Baby. There aren’t many downsides to this box mod, but if we had to choose one it would be the lack of advanced features. If this isn’t your first vape mod and you’re itching to try out different features and more intricately define your vaping experience, this might not be the best option for you. Still, it could replace a box mod you already have and become a key part of your vaping toolbox. After all, this is still a high performer and would make a great addition, especially if you’re making your way into box mods now. On a whole, another great product by Smok and one that we can fully recommend.